SACRAMENTO — “The Ito Sisters: An American Story” will be screened on Tuesday, April 23, from 5:30 to 8 p.m. at KVIE Public Television, 2030 W. El Camino Ave. in Sacramento. Explore the lives of three Japanese American sisters as they share the story of their immigrant parents as they struggled to make a life in America in the early 20th century. The family’s story is set against the backdrop of 60 years of anti-Japanese sentiment in California by politicians, journalists, landowners, labor leaders and others. That effort culminated in the evacuation and incarceration of more than 120,000 Japanese Americans from the West Coast during World War II. 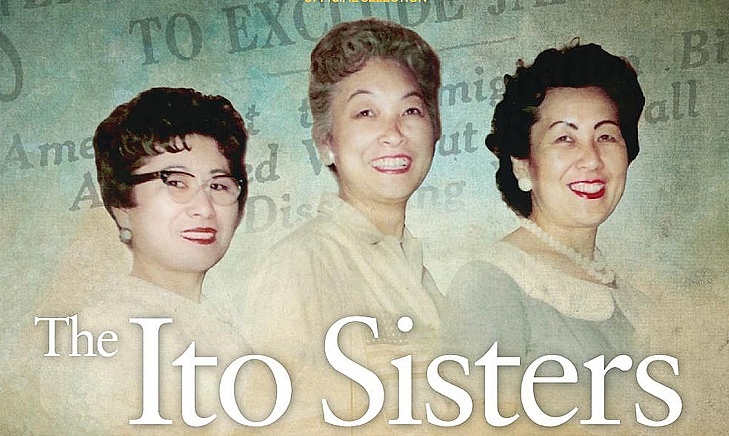 “The Ito Sisters” is written, directed, and produced by Antonia Grace Glenn, granddaughter of one of the sisters. This program was made possible by a grant from the California Civil Liberties Public Education Program, a project of the California State Library.